Hello Cryptoworld, my name is Kenzio and i live in Indonesia. Right now, we now live in a world were cryptocurrencies and blockchain technologies have advanced over the past few years. Even in my country Indonesia(third world country) This has made more and more people to switch from traditional fiat based financial system, towards blockchain and cryprocurrencies specifically. 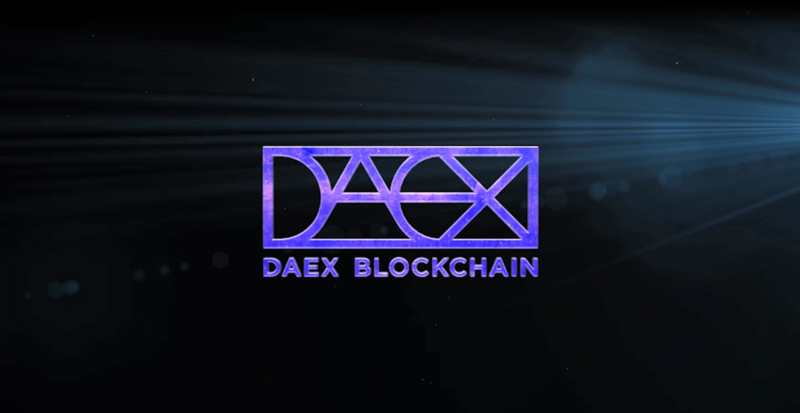 So, What is DAEX? Let me put it this way, as a crypto trader we always want a great exchange isn’t? Exchange that safe from internal fraud risk like distributed exchanges but with low trading cost like centralized exchanges. Well, DAEX can provide all of this advantage from distributed exchanges and centralized exchanges. Because according to DAEX whitepaper that i read, The DAEX ecosystem is the best combination of centralized trading and distributed clearing. DAEX users can enjoy the best trading experience provided by centralized exchanges and also at the same time do not have to worry about the safety of their trading assets. DAEX also significantly lowers the technical and business entry barriers for aspiring exchanges, providing a solid foundation for their business growth. So were back to What is DAEX? The point is DAEX is a clearing solution for centralized cryptocurrency trading exchanges. Its clearing service is based on distributed ledger technology. Clearing and settlement rules are preprogrammed into clearing smart contracts on the DAEX clearing chain. The clearing process is automatic without people’ s interference. The objectivity of clearing is guaranteed by the consensus mechanism on the clearing chain. 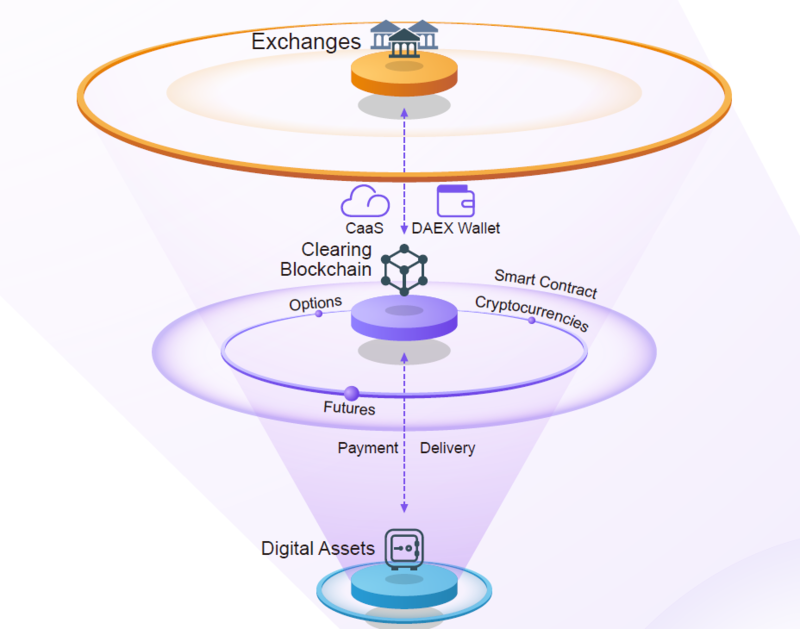 Also, customers’ digital assets are registered and stored on the DAEX’ s clearing chain. No other institutions or individuals can access these assets without the owner’s permission. Now, Let’s move to the DAEX Ecosystem. Like what i said above, DAEX clearing service is based on distributed ledger technology. In that case DAEX ecosystem is composed of a clearing service that is based on distributed ledger technology, centralized exchanges and user wallets.Traders use their wallets to perform trades on exchanges. After trades are matched at exchanges, exchanges send matched trades to the clearing service. The clearing service CaaS is performed by smart contracts on the distributed ledger technology. During the initial phase of DAEX, cryptocurrencies will be serviced. During future phases of DAEX, cryptocurrency derivatives will be serviced. That is, DAEX will provide clearing service for cryptocurrency derivatives traded on exchanges. According to what i read on DAEX website, DAEX Goals is to provide a better infrastructure for the cryptocurrency trading industry by taking the reasonable parts of the mainstream securities trading industry and by taking advantages of new opportunities brought about by the distributed ledger technology. Specifically, trading and clearing will be separated into different entities. Current centralized exchanges will continue to provide trading service. But the clearing work will be handled over to a common clearing service which is based on the DAEX solution. But, different from current centralized clearing services, the DAEX clearing service is based on distributed ledger technology. The distributed ledger technology guarantees that trades are correctly and safely cleared and settled. By using distributed ledger technology, trader’s assets are kept in their own accounts on the blockchain. No one else can access traders’ assets without their permissions. This effectively removes trader’s asset risks in current centralized exchanges. The DAEX solution will be an open sourced clearing service based on a public blockchain. Its code is open for public inspection and supervision. The DAEX ecosystem uses token DAX to facility the cooperation among different parts in the system. The DAX token is a utility token that will be used across all exchanges in the DAEX ecosystem. Traders who own DAX will be able to securely record and validate transactions in a transparent environment. Whether it is paying fees related to clearing, asset settlement or trade matching, they will not be limited to a single exchange. At first, cryptocurrencies will be the digital assets used for clearing and settlement, and at a later stage derivatives will included in the ecosystem. 👉The public sale price is $0.07 per DAX. 👉Only accept ETH investments for this sale, and the DAX/ETH ratio will be announced 24 hours before the sale starts based on the price above. 👉Your KYC application must be approved before you can invest and there is no whitelist. 👉Individual contribution amount is between 2-100 ETH per person.